When I was a little girl, no stores were open on Sunday. The only people who worked were medical, police, firemen, and other emergency workers or people whose jobs kept the city safe and operating well. Restaurants? I don’t remember if there were many that stayed open, but we so rarely went out to eat that it was maybe a once-a-year event, and not on a Sunday. We had Sunday dinner at home or were invited to someone else’s house for that event. Remember Sunday dinner? Does anyone still do that? Fancy dishes, tablecloth, a mouth-watering roast with all the fixings. We don’t eat like that these days, but when our kids were all home we usually had a special meal. For us, the main event on Sunday was church, both morning and evening. I enjoyed both, but I loved the evening service because it was more relaxed, with lots of enthusiastic singing. There was joy. Sunday was a delight for me, and it still is. But the Israelites had forsaken the keeping of the Sabbath, just as so many of us have ignored church on Sunday in favor of other pursuits. The day of rest has become a day to play, or to catch up on grocery shopping or housework. Like the Israelites, we have largely forsaken the keeping of the one day each week that God set aside to worship Him, and to rest from our labors. 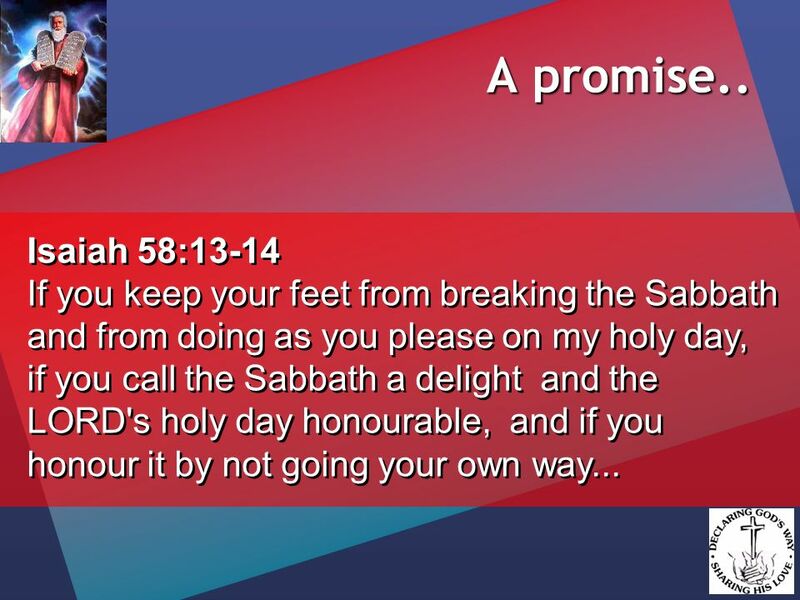 His promise is that when Israel restored the keeping of the Sabbath, He would restore them to a place of blessing.